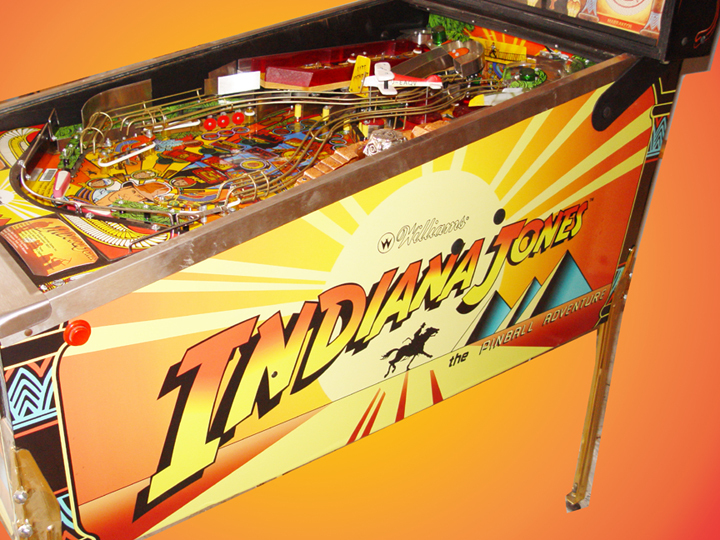 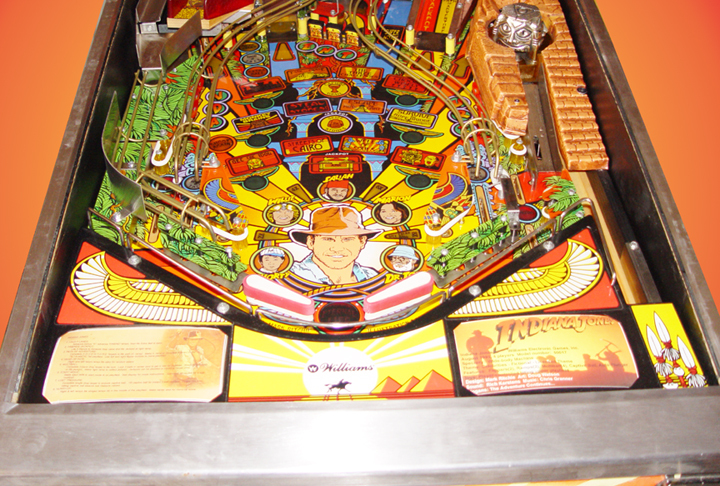 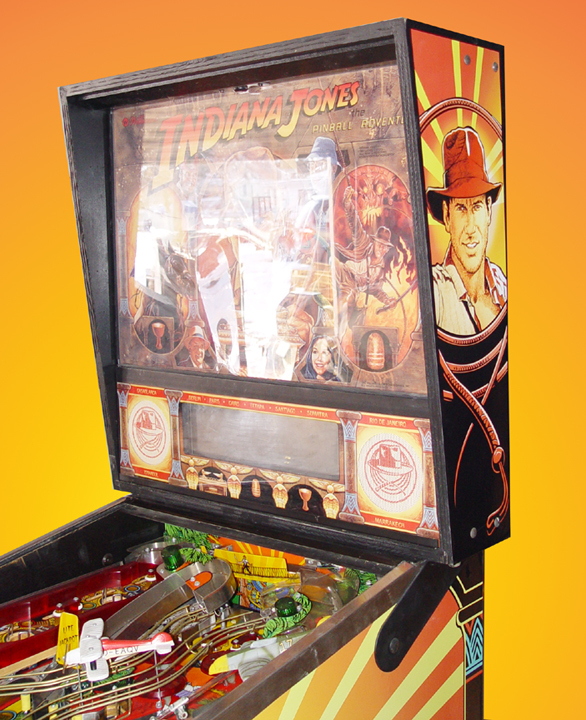 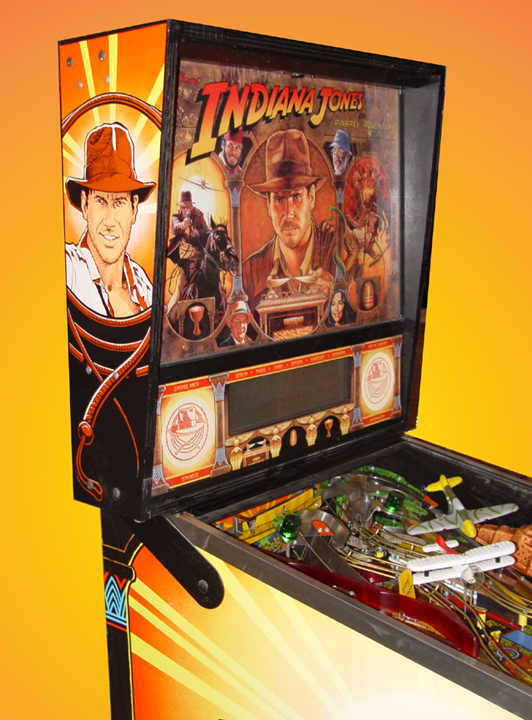 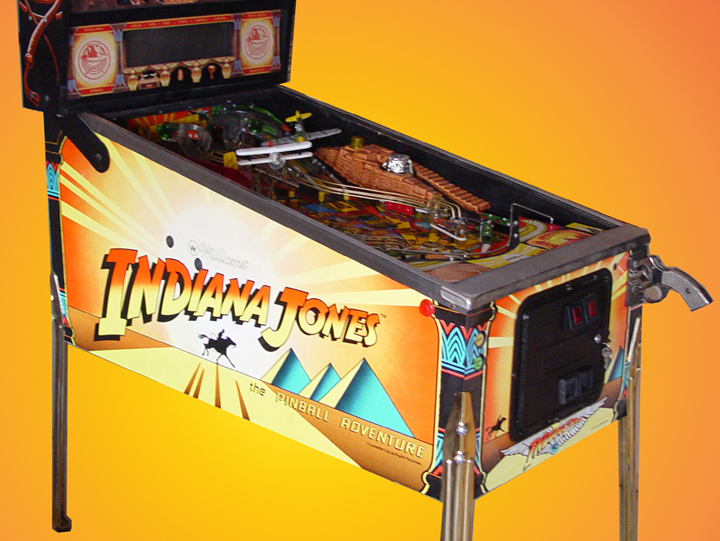 The best of Indiana Jones which incorporates all the movies, even has a second smaller playfield that moves itself to make gameplay even more interesting. 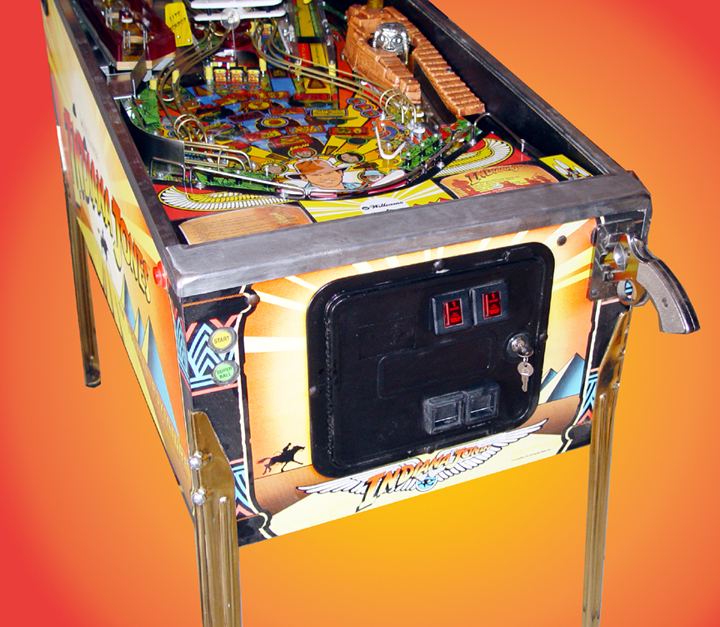 Very nice looking machine with great colors, and is a wide body playfield. 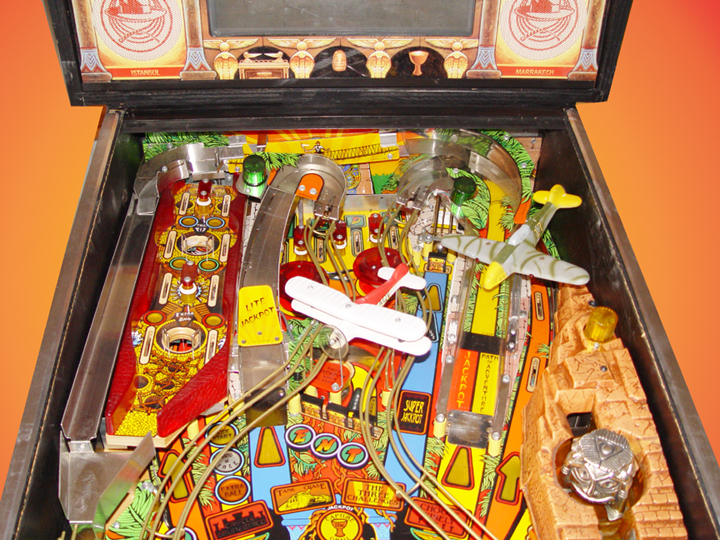 This machine comes with an extra set of slingshot plastics and a spare raise jackpot plastic!